Easy to use cable, no software required. Supports resolutions up to 1920x1200 and HDTV resolutions up to 1080p. The StarTech.com MDP2DVI Mini DisplayPort DVI Adapter Cable offers a cost-effective DVI/Mini DisplayPort link, letting you connect a DVI computer monitor to a device with a Mini DisplayPort output while saving the expense of upgrading the monitor for compatibility. This Mini DisplayPort adapter is the perfect accessory for any of your MacBook® or Microsoft® Surface™ Pro devices with mDP. 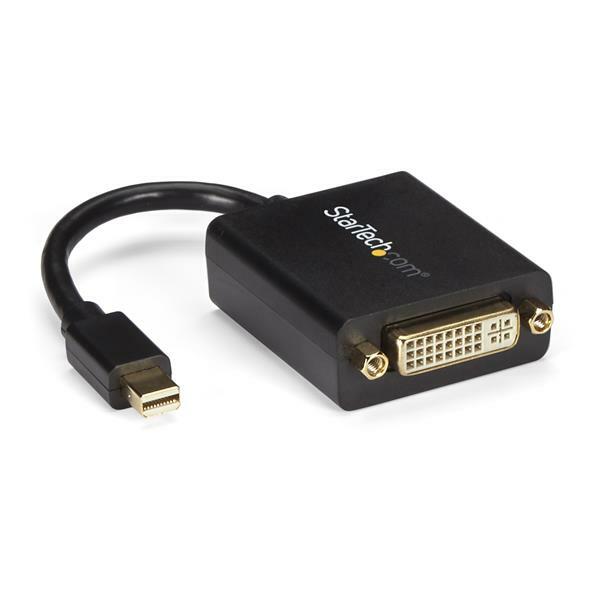 MDP2DVI is a passive adapter that requires a DP++ port (DisplayPort++), meaning that DVI and HDMI signals can also be passed through the port.